MY WAY OR THE HIGHWAY - quote from the movie Reservoir Dogs (1992). Mr. Blonde: "Either he's alive or he's dead, or the cops got him... or they don't... There's two ways you can go on this job: MY WAY OR THE HIGH WAY." Play it again, Sam (YOU TUBE) - originally a misquotation of "Play it, Sam" from the 1942 film Casablanca. One of the lines most closely associated with the film—"Play it again, Sam"—is a misquotation. 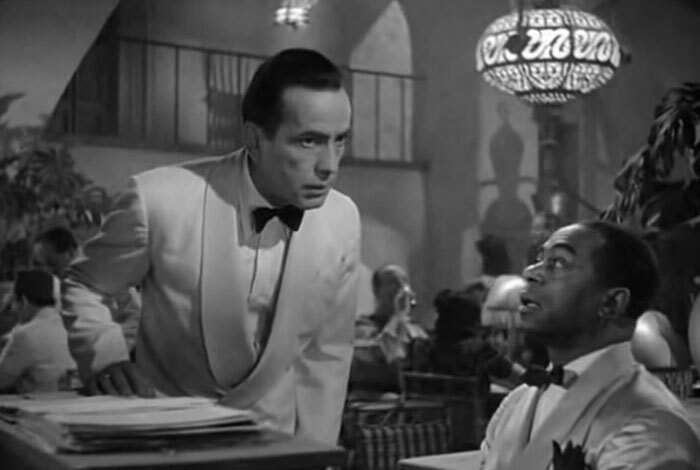 When Ilsa first enters the Café Americain, she spots Sam and asks him to "Play it once, Sam, for old times' sake." After he feigns ignorance, she responds, "Play it, Sam. Play 'As Time Goes By'." Later that night, alone with Sam, Rick says, "You played it for her, you can play it for me," and "If she can stand it, I can! Play it!"